AZTT is located just about a mile east of the town and within the city limits of Show Low, Arizona. 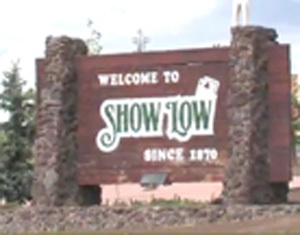 The Town of Show Low is located in the eastern portion of Arizona, approximately 175 miles northeast of Phoenix, or 137 miles south east of Flagstaff, or 195 miles north by northeast of Tucson, or about 47 miles south of Holbrook. Access to Show Low is easy, as SR 77 & SR 260 intersect in town. Show Low boasts the only FAA-designated commercial airport in the northeastern section of the state. It even offers commuter services for those traveling between Show Low and Phoenix. Show Low sits at an elevation of 6,412 feet. The climate is semi-arid, with the Mogollon Rim and the White Mountains both surrounding and protecting the community from severe winters. One of the nation’s most unique parks lies just to the north of Show Low, the Petrified Forest National Park, which includes not only the Petrified Forest, but also the Painted Desert and Navajo Indian Reservation, with attractions such as Monument Valley and Oraibi, the oldest continually occupied village in the U.S.
To the north and west of Show Low, are forests and high mountains, including Sitgreaves National Forest, the Mogollon Rim, and the White Mountains. A multitude of small lakes, stocked with rainbow, cutthroat, brown, apache, and brook trout, as well as grayling, largemouth & smallmouth bass, perch, sunfish, and walleye, all await the angler. Arizona’s largest ski resort, Sunrise Park Ski Resort is located just 34 miles south of Show Low, on the Fort Apache Indian Reservation, offering winter tons-o-fun in snow skiing, snowboarding, cross country skiing, snowshoeing, and snowmobiling. Following the melting of the snow, the resort continues to flourish with mountain biking, hiking, horseback adventures, and photo opportunities. The White Mountain Trail System, ranked 3rd in the country by the American Hiking Society, is a haven for hikers, mountain bikers, and equestrians. Camping, golfing, museums, as well as perusing the quaint and charming antique and collectibles shops spanning Show Low and the surrounding communities, only add to the allure of this special place in the heart of the mountains. Lastly, when traveling the area, it’s important to be aware of the opportunities to run upon the many big and small game animals that also call this mountain top community home. 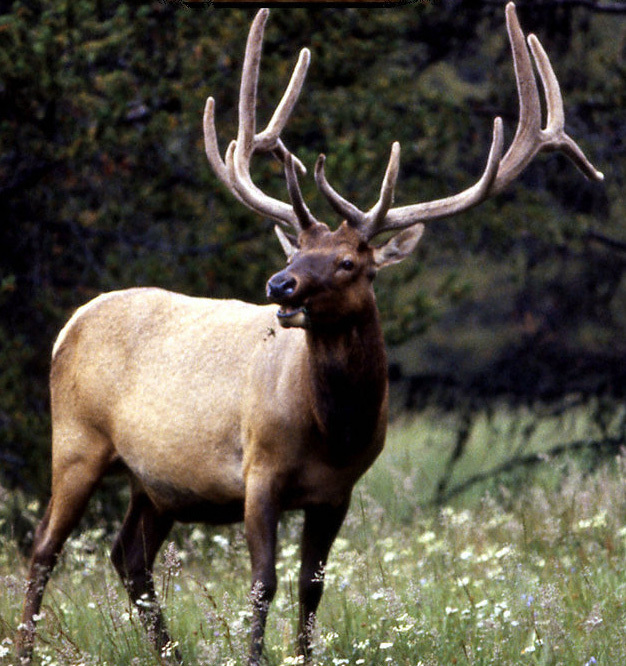 World-Class Elk abound here, so travel safely and alertly, particularly at night, as they can cross the road in front of you at any time. Also, the possibility to see mule deer, antelope, turkey, bear, coyotes, javelina, bobcats, and even mountain lions exist as well. It is wise to always carry a camera with you, as you never know when the opportunity to photograph one of these animals or one of the many species of birds or small game will present itself to you. And don’t forget to take in the beautiful vistas and magnificent landscapes these White Mountains are known for, providing excellent photo opportunities and years of wonderful memories.